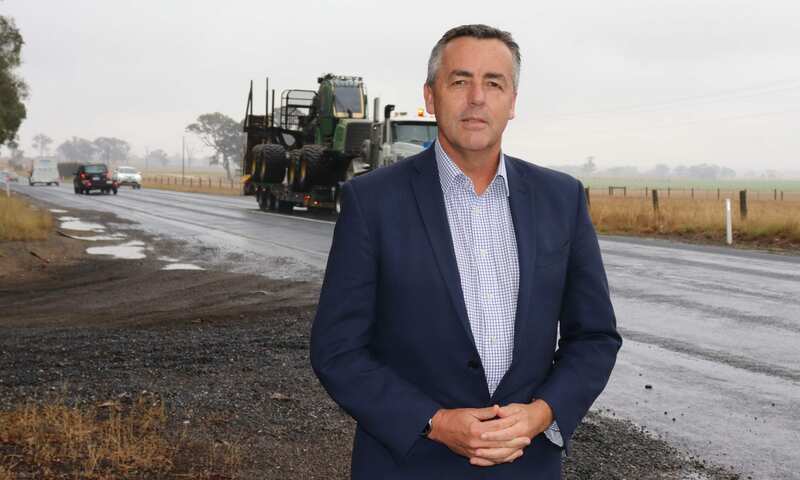 Gippsland MP Darren Chester, pictured at Flynn, has written to the Victorian Premier a second time to urge him to commit the State Government’s $33 million share of the money needed to finish the duplication of the Princes Highway between Traralgon and Sale. Federal Member for Gippsland Darren Chester has again written to Victoria’s Premier to urge him to commit funding to complete the Princes Highway duplication between Traralgon and Sale. Mr Chester wrote to Mr Andrews in January to ask the State Government to allocate its share of the money for the duplication project to prevent it coming to a standstill. That letter remains unanswered, so Mr Chester has written to the Premier a second time. “Your government’s failure to announce an allocation of $33 million – Victoria’s share of the funding required to complete the $165 million project – is extremely disappointing for all Gippslanders,” Mr Chester wrote. Since 2010, nine sections of highway have been duplicated with $210 million from the Australian Government and $50 million from the Victorian Government. Ten months ago in May last year, the Federal Government announced its 80 percent share – $132 million – of the estimated cost to finish the project. Work on eighth and ninth sections east of Traralgon between Minniedale Road and Sheepwash Creek and at Nambrok was completed last December. Two sections at Kilmany and Flynn are to be done. “I was deeply concerned when your government failed to announce funding in its last budget, nor commit to this critical project during the November state election campaign,” Mr Chester said. “Minister for Roads Jaala Pulford visited Gippsland two weeks ago to talk publicly about highway roadworks, but again no funding announcement was forthcoming. “Industry leaders and local government authorities in Gippsland have contacted me to express their extreme disappointment with your government’s failure to commit to finishing the duplication project, which has always enjoyed bipartisan political support. ”I fear there will be avoidable losses of life and serious injuries on the unduplicated sections if the project is not completed as soon as possible. It is well understood by road safety experts that a better, safer Princes Highway will reduce road trauma and save lives in our community.